Nots have been kicking around in Memphis for a couple years now, but it seems like they’ve recently decided to take things up a notch. 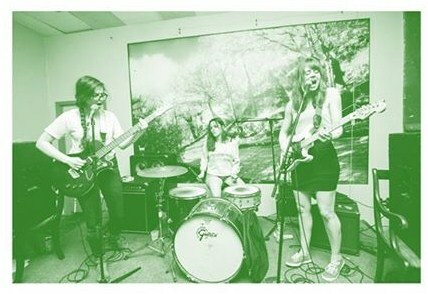 The band, fronted by Manatees‘ Charlotte Watson and former Ex-Cult bassist Natalie Hoffmann, are in the midst of recording their debut LP and putting together a fall tour, but right now we’re plenty contented with their newly-release single on Goner. Memphis-fi recording quality, Urinals-esque hooks, barking gang vox…it’s got it all. Stream the a-side, “Fix,” below, and pick up the record from Goner here.